The United States is the 5th largest Spanish speaking country in the world with over 37 million people who speak Spanish at home. We are committed to making our evidence-based offerings available to patients of diverse populations and are excited to announce 3 new additions to our library of video decision aides. Objetivos del Cuidado: Observaciones Generales – A general framework of the goals of care in Spanish. CPR en Español: Enfermades Graves – A general introduction to CPR for patients with a serious illness. 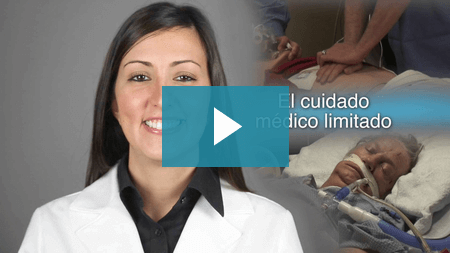 Decisiones sobre Cuidado de Hospicio: Observaciones Generales – A general introduction to hospice for patients and families. Each of these video decision aides supports subtitles and is consistent with current offerings in English. We hope that these new additions help your patients make informed medical choices. Objetivos del Cuidado: Observaciones sobre Cancer – A general framework of the goals of care in Spanish for patients with advanced cancer. Decisiones sobre Cuidado de Hospicio: Observaciones sobre Cancer – A general introduction to hospice for patients and families with advanced cancer. CPR en Español: Cancer Avanzado – A ge0neral introduction to CPR for patients with advanced cancer. To get started using these videos, please login to My ACP Decisions using your username and password. We are committed to making our evidence-based offerings available to patients of diverse populations. And we will continue to work to make our videos available in languages other than English.